SARAH CHRISTEL joined our team in August of 2011, bringing several years of professional experience in both the commercial and residential real estate industries. As the Director of Marketing + Design for L3 Corporation, Sarah’s responsibilities encompass many aspects of our business. Using her life-long passion for art and design, Sarah is responsible for the design, development, and implementation of L3’s cutting-edge marketing materials, social media management and research. She enjoys using her creativity on the wide range of graphic projects for the varied clients of L3. Her versatile perspective is fundamental to the visual storytelling seen in L3’s client and corporate marketing materials. Additionally, Sarah works directly with our brokerage team on their GIS mapping and aerial needs, various marketing materials, generating and maintaining reports for several clients, managing the site tour process and overseeing the assembly and distribution of materials, listing packages and conducting various research and design projects. 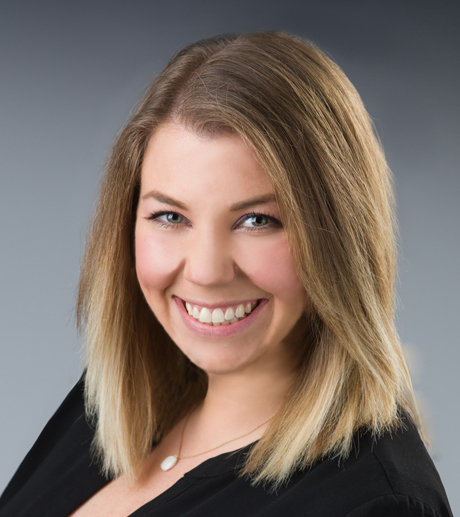 Sarah is versed in Adobe Creative Suite, Google Earth Pro, SitesUSA REgis Pro and REgis Online, various social media platforms, as well as several other programs used within the firm. When not working, Sarah is an active artist specializing in photo-realistic portraiture and abstract painting. Sarah also enjoys traveling and spending time with her husband, Myles, and step-son, Sawyer.